Presidential candidates Sen. John Kerry, Rep. Dennis Kucinich, Sen. John Edwards, the Rev. Al Sharpton, and former Gov. 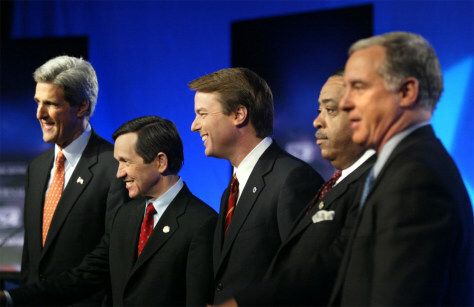 Howard Dean stand together before the Democratic debate Sunday.